Join us for to PAINT Audrey with loads of colour and leaves and SIP through an enjoyable evening! 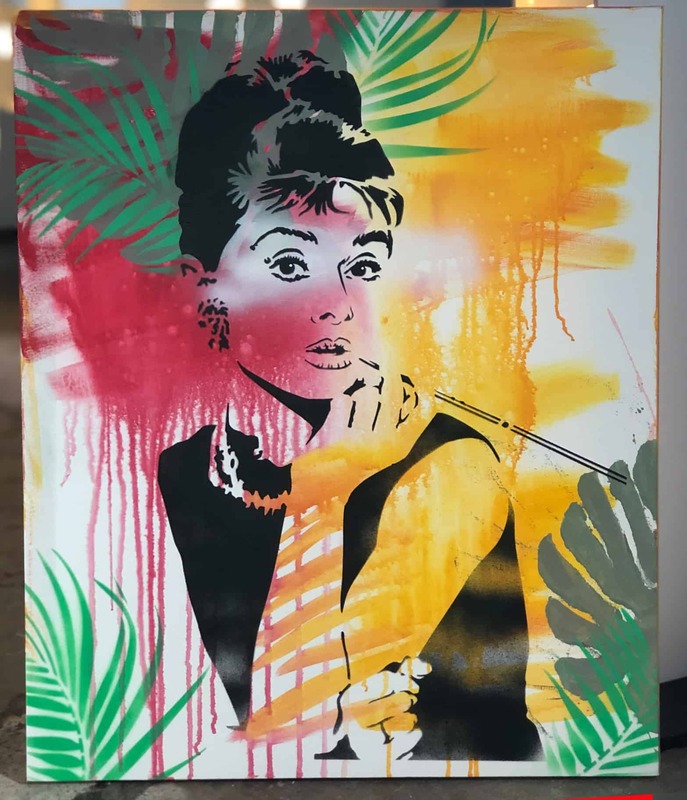 We will paint an interesting colourful background in your choice of colours then take spray on a stencil of the lovely Audrey at Tiffanys. Please arrive 30min early, handover your BYO downstairs at the bar of the Montague Hotel then enjoy your complimentary glass of sparkling at the bar.